. 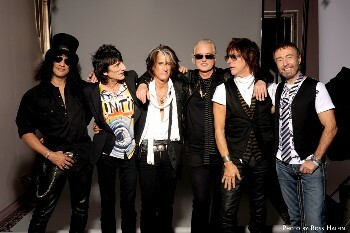 Slash, Ronnie Wood, Joe Perry & Jimmy Page. Paul Rodgers, who toured and recorded with QUEEN from 2004 to 2008 and BAD COMPANY from 2008 to 2010, is at long last returning to the U.K. with his solo band. "Playing with QUEEN was brilliant they interpreted my songs on an entire new level," says Rodgers. "With BAD COMPANY the musical fireworks were still there but creating and touring solo is where my heart is." Paul's last U.K. solo tour, in 2006, culminated with the recording of his debut solo DVD, "Live In Glasgow", which charted at #1 in Canada, #2 in Japan, #3 in the U.S., #4 in the UK and is now certified gold. Rodgers has announced that drummer Jason Bonham (BLACK COUNTRY COMMUNION, LED ZEPPELIN ) will be joining him on tour. Rodgers states, "Jason played with Joe Perry and myself in L.A. recently and was so hot that I asked him to join us for the U.K. tour." Also in the band the familiar faces of Howard Leese (HEART guitarist), Lynn Sorenson (bass) plus some surprise guests. Rodgers will perform new songs from his upcoming solo CD, making it 31 album/CD releases since 1968, plus hits from his expansive back catalogue such as FREE's "All Right Now", BAD COMPANY's "Feel Like Makin' Love" and THE FIRM's "Satisfaction Guaranteed". Says Rodgers: "Developing the set-list is always a bit of a balancing act but in the U.K. it will be FREE-heavy for the fans." Supporting Rodgers are very special guests DOWN 'N' OUTZ. Fronted by Joe Elliott of DEF LEPPARD and backed by THE QUIREBOYS, DOWN 'N' OUTZ will be an evening of music by MOTT THE HOOPLE and its collective works. Tickets are priced at £34.50, in advance, regionally, and £32.50, £37.50, £40.00, £50.00 in London (subject to booking fee) and are available from Livenation.co.uk. he will appear in Uncut as part of our regular "Audience With" feature. So, is there anything you've always wanted to ask the legendary singer? Out of all the guitarists hes played with, whos the best? How on earth did he end up playing at the Labour Party Conference in 2002? The best questions, and Pauls answers will be published in a future edition of Uncut magazine. Please include your name and location with your question! "Gary was a friend and a truly great man. I respect that he played the game his way... no time for B.S. He was focused and passionate about music and was one of the best. "The last time that I jammed with Gary, he came on as my special guest at London's Royal Albert Hall and proceeded to take it to another level... the place imploded! When he played, he was a man on fire. "If there hadn't been an ocean between us and Gary didn't mind flying, we absolutely would have created more together. "We've lost a great British blues man and I am very, very sad ..........PAUL RODGERS. "founding member & drummer of Free and Bad Company"
Saturday, April 2 at 9 p.m.
or the Eastside Cannery box office located at the front desk. Ticket prices do not include tax and applicable fees. 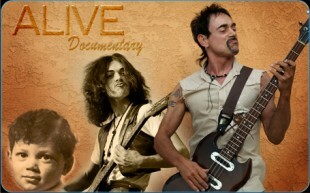 After focusing on Bad Company in 2010, Paul Rodgers will concentrate on his solo career in 2011. "I want to make it completely an analog album. I just don't like the sound of [digital]... I want to make it like the old days." About 6 months ago I stumbled on an amazing new site, TalentWatch.net. Theres a few wrinkles that really make this site cool. Besides music videos, every artist uploads a personal video where they tell their story. You get to rate artists on their talent, entertainment AND likeability. In fact, music fans drive this site. Bottom line- every music artist has an equal chance to rise to the top. Every single one. And that's the way it should be. Now don't you think it's time WE decide who deserves to be discovered.... I do. Back to The Voice of America. You can register to audition for the show at http://www.nbcthevoice.com/. Auditions take place in January and February in eight different cities. If you cant make it to the auditions, go to http://www.talentwatch.net/ and upload some videos. Theyll be checking the TalentWatch site as well. UK BAND Heartbreaker is a tribute to Paul Rodgers, which features the music of Queen, Free & Bad Company. The band plays a selection of songs from these different eras of Paul Rodgers; spanning over his 41 year career at the top. We play a two hour set, the main part of the show, we play songs that Paul Rodgers has co-wrote with Queen: Celebrity, Small, Cosmos Rocking and Voodoo from the Cosmos Rocks album as well as classic songs by Queen: Tie Your Mother Down, Fat bottomed Girls, We Will Rock You and many more. We also feature classic tracks by Bad Co: Can't Get Enough, Feel Like Making Love, Seagull, Shooting Star and the track Bad Company. This set closes with tracks from the band Free with such classics as: Wishing Well & All Right Now. The first part of the show is dedicated to the band Free as well as a selection of songs from Paul Rodgers solo career: Fire & Water, Mr Big, Little Bit of Love, My Brother Jake and many more. Barflys playing Free's "My Brother Jake" live at the "One Day in May" festival Trentham Gardens 9th May 2009. Posted By Chicago Joe Jones (Atlanta) This is a highlight from Chicago Joe's Rock and Blues Camp New Years Eve Party 2010; Nick Sanders on Guitar, Andy Sherin on bass, and Brandon Mckinney on drums. They call themselves Graham's Number. Here they are covering Steppenwolf''s timeless classic "Born To Be Wild".